Jay Winner, general manager of the Lower Arkansas Valley Water Conservancy District – whose stated mission is “To acquire, retain and conserve water resources within the Lower Arkansas River” – expressed his displeasure with the agreement. “It’s set up so everybody gets the same as always. LAWMA’s water stays in, but instead of irrigating land with the water, they dump it back. That percentage gets held up for Colorado Springs – the consumptive use of that amount – that’s what a crop would use. That percent has to stay in the river to keep people from being injured. Winner is also concerned that Colorado Springs won’t stop here. Tuesday, the Colorado Springs City Council unanimously approved the 2019 budget and rates for Colorado Springs Utilities customers. The city said local water and wastewater systems are old and in need of ongoing repair and refurbishment. Typical residential water customers will experience a monthly increase of $3.80, according to the city. This funding supports a “significant” upgrade to the Phillip H. Tollefson Water Treatment plan, as well as work to repair water mains, according to the city. The city also said that most commercial and industrial customers will also experience increases to base rates for wastewater and water services. Springs Utilities has an online bill calculator available to see how these changes will affect individuals and commercial customers. An Understanding Your Bill video is also available to assist customers. In an open session on Sept. 17, the Utilities Board unanimously voted to extend an offer to Aram Benyamin to be the next Chief Executive Officer (CEO) of Colorado Springs Utilities. Nearly 130 candidates from across the United States submitted their resumes for consideration. In June, the Utilities Board reviewed the top candidates and determined which candidates should complete advanced screening. In July, the Board reviewed the information and selected seven candidates to proceed as semifinalists. Over the last few weeks, the full Utilities Board conducted seven semi-finalist interviews with internal and external candidates. Deliberations on who would be moving on as finalists were concluded prior to the Aug. 22 Board meeting. As part of the process, there were opportunities for employees and the public to meet the CEO finalists and provide feedback to the Board. The Utilities Board incorporated the feedback they received from employees and the public and considered the information as they interviewed the candidates. Aram Benyamin currently serves as the General Manager of the Energy Supply Department at Colorado Springs Utilities. 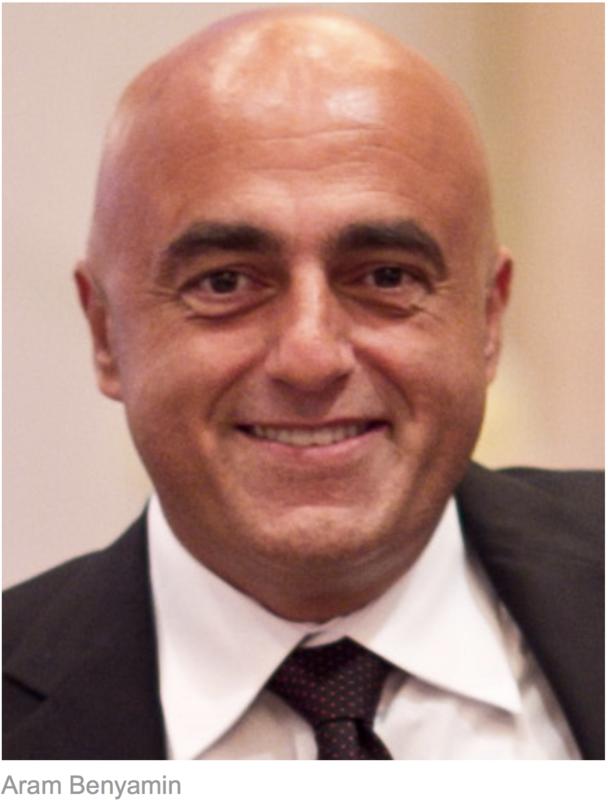 Prior to Colorado Springs Utilities, Mr. Benyamin was the Senior Assistant General Manager, head of the Los Angeles Department of Water and Power’s (LADWP) power system, the nation’s largest municipal utility. At LADWP, Mr. Benyamin was responsible for 4,000 employees with an annual budget of $3.9 billion, serving more than four million residents of Los Angeles. LADWP’s power system spans over four states. It includes 7,327 megawatts of generation capacity, 3,507 miles of high-voltage 500, 230 and 138 kV AC transmission lines, two 900 miles of 500 kV DC lines and a 465 square mile area of overhead and underground power distribution network. Mr. Benyamin is a Professional Engineer and has a bachelor’s of science degree in engineering from California State University, Los Angeles. He also has a master’s degree in business administration (MBA) from University of La Verne and a master’s degree in public of administration (MPA) from California State University, Northridge. He has also earned a Certificate, Senior Executives in State and Local Government, Harvard University, Kennedy School of Government; Certificate, Executive Business Management Program, University of California Los Angeles (UCLA), Anderson School of Management; Certificate, Engineering and Technical Management, UCLA; Certificate, Business Management Program, UCLA; Certificate, Leadership for the 21st Century, UCLA; Certificate, Total Quality Management, UCLA; Certificate, Construction Management, UCLA. Mr. Benyamin’s current and past board member and trustee affiliations include YMCA Downtown Colorado Springs Board Member, Armenian General Benevolent Union, Worldwide District Committee Board Member, Boys and Girls Scouts commissioner, troop committee member and volunteer, Trustee of Joint Safety and Training Institutes, Southern California Public Power Association board member, Large Public Power Council board member and California Municipal Utilities Association board member. See Mr. Benyamin written responses to interview questions. Read Mr. Benyamin’s video interview transcript. Monday, Sept. 17, the Colorado Springs Utilities Board voted to offer the energy supply general manager, Aram Benyamin, a contract as the new CEO of the $2 billion enterprise. Benyamin would replace Jerry Forte, who retired in May after more than 12 years as CEO. He came to Utilities in 2015 from Los Angeles Department of Water and Power after he was ousted the previous year due to his close association with the electrical workers union, according to media reports. He also had supported the challenger of Eric Garcetti, who was elected as mayor. Benyamin tells the Independent that he will accept the offer, although details are being worked out, including the salary. Forte was paid $447,175 a year. Benyamin will take his cues on major policy issues from the Utilities Board but does have thoughts on power supply, water rights and other issues involving the four services offered by Utilities: water, wastewater, electricity and gas. Utilities has been slower than some to embrace solar and wind, because of the price point, but Benyamin says prices are going down. “Every time we put out an RFP [request for proposals] the prices are less,” he says, adding that renewables will play a key role in replacing Drake’s generation capacity, which at present provides a quarter to a third of the city’s power. While sources are studied, he says the city is moving ahead with “rewiring the system” to prepare for shutting down the plant. But he predicted a new source of generation will be necessary. “Any resources we have we need to prioritize them to the need of the city today and the future growth and then decide what level of support we can give to anybody else,” he says. The Utilities Policy Advisory Committee earlier this year called for lowering the cost of water and wastewater service for outsiders — notably bedroom communities outside the city limits which are running lower on water or face water contamination issues. Benyamin also says he’s open to further studying reuse of water. “Any chance we have to recycle water or use gray water for irrigation or any other use that would take pressure off our supplies, that’s always a great idea to look into,” he says. “My short-term vision is to take a look at the organization and kind of recalibrate the vision of what a public utility should be and how a public utility should fit into the vision of the city itself,” Benyamin said. Long-term goals include identifying what fuel changes Utilities will face and examining the water supply and transmission, he said. Benyamin said he wants to insert leadership that will boost revenues while maintaining competitive rates. He also foresees increasing renewable energy production and energy storage. Technology for storage and renewable energy, such as wind and solar, are becoming more efficient and affordable, Benyamin said. Combining those two factors with improved distribution of electricity will enable Utilities to be more versatile, he said. The coal-fired Martin Drake Power Plant downtown is to be closed no later than 2035, but Benyamin said that date could be moved up significantly with more technology, storage and transmission options. A water-sharing agreement between Colorado Springs Utilities and an Arkansas Valley water management group would give that city access to an additional 2,100 acre feet of Arkansas River water a year — an agreement that concerns some regional water users. That would be in addition to the 50 million gallons of Arkansas River water that Colorado Springs gets each day through the Southern Delivery Service pipeline from Lake Pueblo. 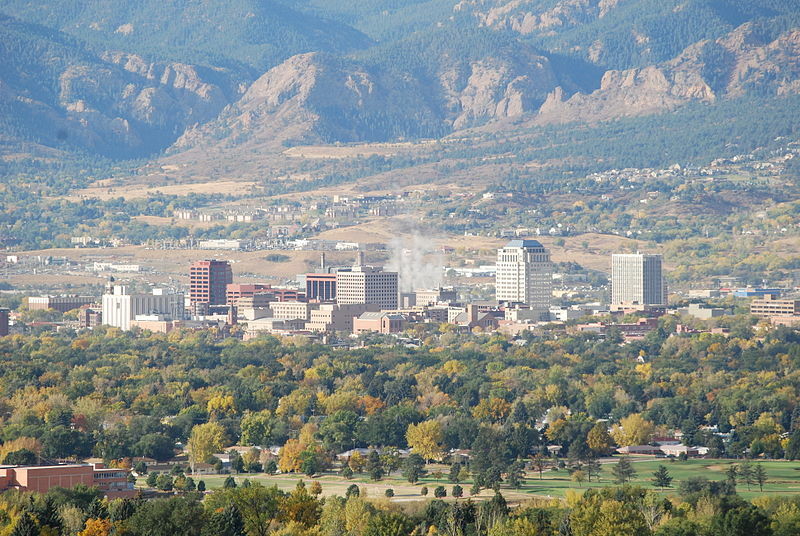 According to news reports, what Colorado Springs has done is buy 2,500 shares of water from Arkansas River Farms, a Littleton-based agriculture company. That purchase makes it a member of the Lower Arkansas Water Management Association. That’s a nonprofit group of Arkansas River water users. Essentially, it has the job of seeing that water pumped up from groundwater wells is replaced into the river. The deal that Colorado Springs wants approved calls for a shared use of its 2,500 shares of water between the management group and the city. Over a 10-year-period, the city would have the use of that water for five years, with the management group getting it the other five years. City officials have said the shared-use plan would help guarantee Colorado Springs has additional water supplies in drought years. A spokesman for the water management group said the deal would require Colorado Springs to pay for additional storage near Lamar for those years when the city is using the water. Officials with Colorado Springs Utilities have fended off complaints that this might dry up areas in the Arkansas Valley by noting that the water management group would share authority over the water. Winner said it is likely his organization, the Lower Arkansas Valley Water Conservation District, will intervene when the question comes before a state water court for approval. That is likely to be a few years away, he acknowledged. 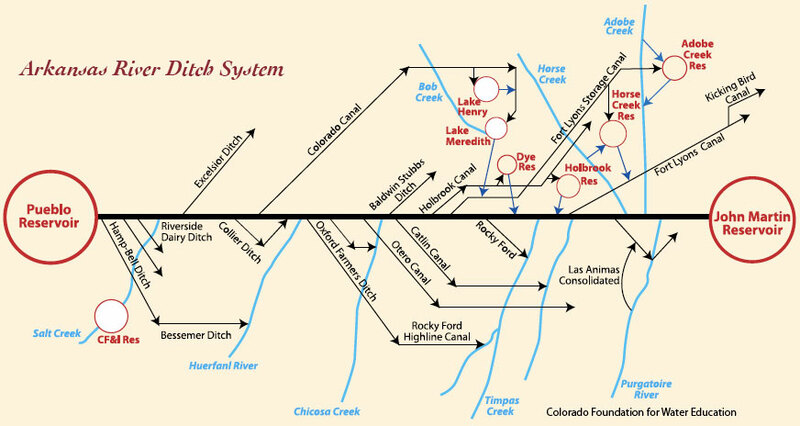 The next step for the water-sharing plan is to get the approval of the Fort Lyon Canal Co. The water management group has been buying water from that company for its augmentation program and Fort Lyon currently doesn’t allow its water to be routed to cities. The second step is to get approval from the state water court, which will review any deal to ensure that no other water rights are damaged. 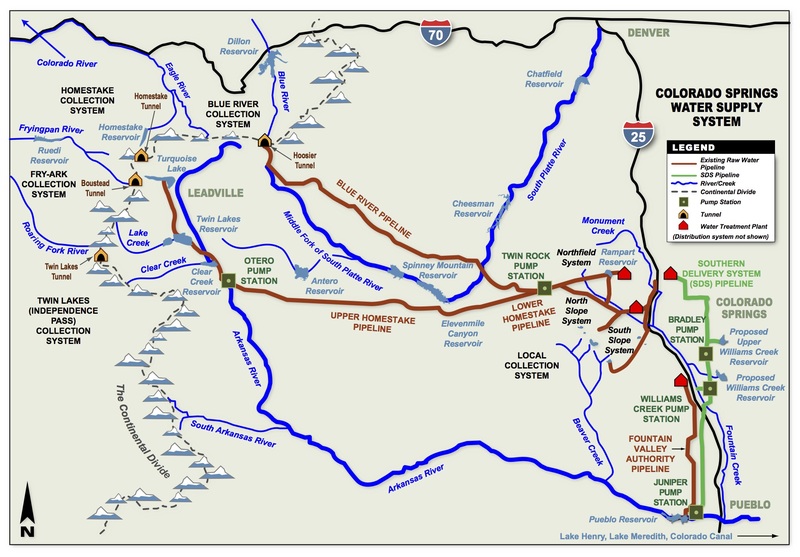 The $9 million project will replace an intake and diversion structure and install a fish passage and boat chute on what is considered the last non-navigable stretch of the river between Leadville and Cañon City, according to a Thursday news release from the local utility provider. Aurora Water, [Colorado Springs Utilities] is also financing construction on the project, and grants from Colorado Parks and Wildlife and the Colorado Water Conservation Board are providing about $1.2 million. The stone diversion, south of Granite, was constructed in 1964 as the original intake for the Otero Pump Station a few miles north of Buena Vista. At the time, river recreation was not considered during the design process, said Brian McCormick, a senior project engineer for Colorado Springs Utilities. “This project will bring this diversion and this site up to modern design standards, including the addition of facilities for recreational boating,” McCormick said. The structure is now a backup intake for the pump station, which is served by water from nearby Twin Lakes, he said. It is part of the Homestake Project, a partnership between Aurora Water and Colorado Springs Utilities to move water from west of the Continental Divide eastward to the two Front Range cities. The project, slated for completion in November 2019, will affect about 400 feet of the river. Construction in the river is expected to begin after Labor Day weekend, McCormick said. The fish passage, also known as a fish ladder, will allow brown and rainbow trout to swim upstream past the diversion when they spawn, he said. The boat chute will be a channel on one side of the river made up of a series of drops and pools to get the boats safely past the structure, McCormick said. Commercial outfitters raft the stretch now, but they must portage to get around the diversion, with its jagged concrete and exposed steel, said Rob White, park manager of the Arkansas Headwaters Recreation Area. The project will add “a nice stretch of whitewater possibilities” for adventure-seekers ready for rapids ranked Class III and above, White said. Utilities and Aurora Water staff members have spent more than a decade developing the project. The Pueblo Board of Water Works is donating easements needed to build and maintain the diversion, according to the news release. The AHRA Clear Creek North Recreation Site will be closed during the project, but the Clear Creek South Recreation Site will remain open, the release says. “This year has been a particularly challenging year. 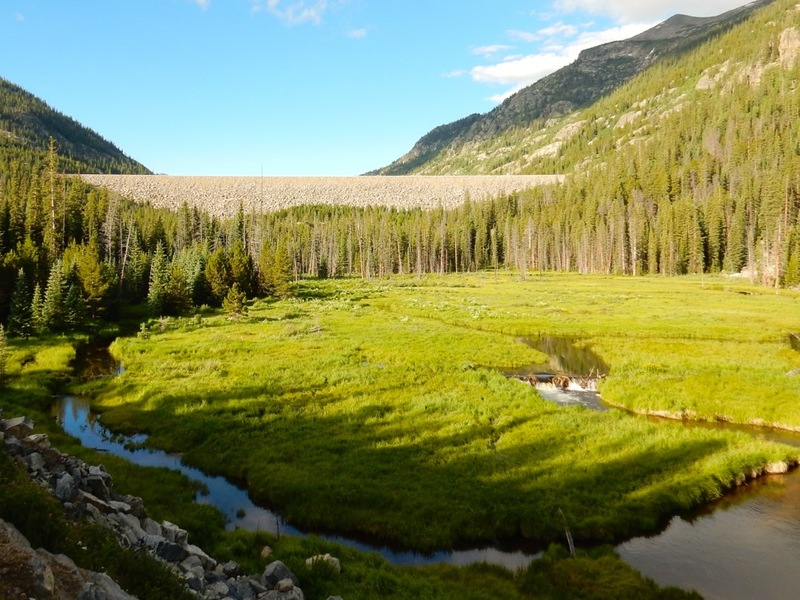 Not the best of snowpacks and an extremely hot and dry spring and summer,” said Arkansas Headwaters Recreation Area, Manager, Rob White. It means the water level in the river could be at its lowest in decades for this time of year. The solution is supplemental water from reservoirs. The rivers natural flow is supplemented every summer through agreements with the Bureau of Reclamation. This year even more water was needed. Colorado Parks and Wildlife made a deal with Pueblo Water earlier in the summer. Colorado Springs Utilities agreed to help this week. CSU will send water from storage at Twin Lakes to storage in Pueblo Reservoir. It is good for rafting and also fishing. The fish population can be threatened when the water gets too low and too warm. Colorado Springs Collection System via Colorado College. olorado Springs Utilities is trumpeting a water-sharing deal involving several parties in the Lower Arkansas River Valley. 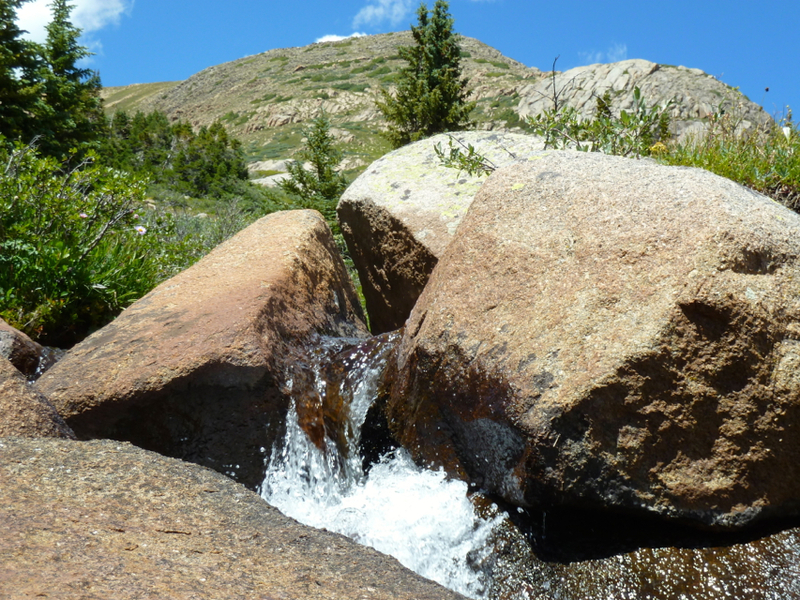 The agreement is the first of its kind in the state, aligns with the Colorado Water Plan’s edict to share water among users and helps the city secure a water supply for decades to come. Exporting water, even periodically, makes Mauch nervous, because the 113-mile-long canal serves 94,000 irrigated acres between La Junta and Lamar. Those acres are owned by roughly 200 farmers. “It remains to be seen how it works out for the Fort Lyon Canal, Bent County and the neighbors,” [Dale Mauch] says.